If you’re shopping for an engagement ring, you need to know about carat weight – the measurement of how much a diamond weighs. Carat weight is important because it helps determine a diamond’s price and reflects its rarity. We take a closer look. How is carat weight measured? Carat weight (ct) is one of the 4Cs of diamond quality – the universal standard GIA created to describe the attributes that determine a diamond’s value. The other Cs are color, clarity and cut. Diamonds are weighed in carats – the international unit of measurement for gem weight. One carat equals 1/5 of a gram (0.20 g). The metric carat is divided into 100 points – abbreviated pt. An easy way to remember this is to think of carats as dollars and points as pennies. They’re even written the same way: $1.54 means one dollar and 54 cents; 1.54 ct means one carat and 54 points. 2. How is carat weight measured? Diamonds are typically weighed using an electronic micro-balance scale. At the GIA laboratory a diamond is weighed to the fifth decimal place (1.12345), or a hundred thousandths of a carat, to ensure maximum precision. In the trade, however, a diamond’s carat weight is usually stated to two decimal places (1.12), a hundredth of a carat. Using stricter rules than normal mathematical rounding, GIA rounds up the diamond’s weight only when the last digit in the thousandths place is a 9. For example, a diamond that weighs 1.128 ct would be rounded down to 1.12, while one that weighs 1.129 ct would be rounded up to 1.13. The weight rounded to the hundredths place is then recorded on the diamond grading report. The takeaway: Since the price of diamonds is calculated by multiplying the carat weight by the price per carat, you want to make sure that the diamond you’re buying has been accurately weighed. You also want to make sure the diamond’s stated weight is given with two decimal points. Why? A 0.97 carat diamond is not equal to a one carat (1.00 ct) diamond, and its price should reflect the size difference, assuming both diamonds have comparable color, clarity and cut qualities. Equating carat weight and size seems like common sense, but it doesn’t always work. Different gem materials have different densities (mass per unit of volume), so two gems that have the same carat weight may actually have very different sizes. 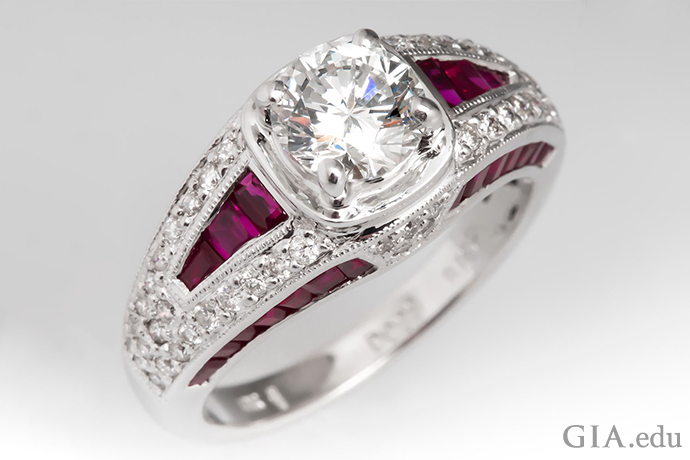 For example, ruby has a greater density than diamond, so a one carat ruby will look smaller than a one carat diamond. What’s more, the way a gemstone is cut also affects its perceived size. A poorly cut round brilliant diamond may be too deep or have a girdle that is too thick. Extra weight can be hidden in or below the girdle. Once the diamond is set, you won’t see this “hidden” carat weight, so a poorly cut 1.20 ct diamond may appear to be the same size as a well-cut 1.00 ct diamond. You end up paying for added weight with no added benefit. This is where the diamond’s cut grade – more than its carat weight – becomes important. The takeaway: You shouldn’t use carat weight alone to estimate a diamond’s size. 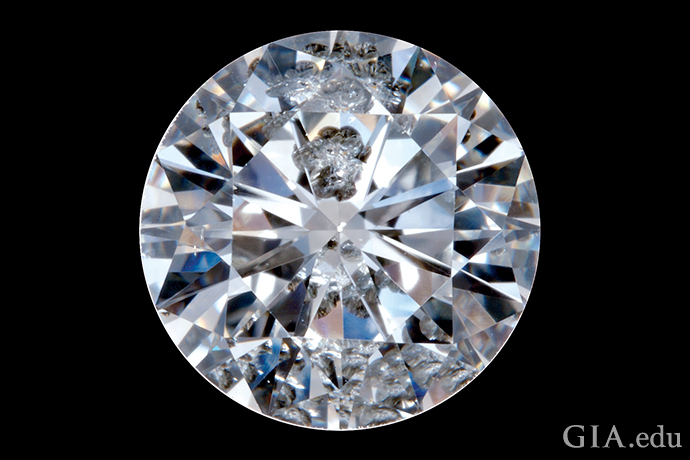 If it is a round brilliant cut, look at the diamond’s cut grade – available on the GIA grading report – to make sure it is well cut, so you’re not paying for wasted weight. Learn more about cut: GIA Diamond Cut Grade: Six Things You Need to Know. When a 100+ ct diamond is found, it makes news in the diamond trade. One reason it’s noteworthy is because the larger a diamond is, the rarer it is. And the rarer it is, the more valuable it becomes. The same rule holds true for diamonds in engagement rings. Nature produces far more diamonds smaller than a carat than diamonds that are a carat or larger. This is reflected in the price. Because of their rarity, large diamonds command a premium – so much so that the difference in price isn’t geometric but exponential. In other words, a 1.00 ct diamond will cost much more per carat than a 0.50 ct diamond. A 2.00 ct diamond will have a much higher per-carat price than a 1.00 ct diamond. The size difference between a 0.98 ct diamond and a 1.01 ct diamond is difficult to distinguish, but some people prefer symbolic numbers, like round ones. The trade calls such diamonds weighing 0.25 ct, 0.50 ct, 0.75 ct, 1.00 ct, etc., “magic sizes.” Although you may not see many diamonds that are magic sizes, you still should know about them. Here’s why: Diamonds that are at or just above a magic size are generally more expensive per carat than diamonds that weigh a little less. So if you can live without the symbolic “weight” of these round numbers, you could save some money by choosing a diamond that weighs a few points less. Many diamond engagement rings have more than one diamond. A halo (a ring of diamonds or colored gems around the center stone) or side stones (one or more stones set on either side of the center stone) are popular design styles commonly seen in engagement rings. “Carat weight” refers to the weight of a single stone, “total carat weight” – sometimes abbreviated “tcw” – is used to describe the weight of all the diamonds in a multi-stone ring. For example, an engagement ring with a 1.20 ct center diamond surrounded by a 0.30 carat halo of diamonds would have a total carat weight of 1.50 carats. Total carat weight will impact the price of the engagement ring. But the chief driver of price is the size of the center diamond, along with the size of the individual side stones, assuming all are the same quality. For example, an engagement ring with a 1.00 ct center diamond with two .15 ct side stones has a total carat weight of 1.30 carats. It will typically cost more than a ring with the same diamond with six .05 ct side stones, even though the total carat weight is the same. Likewise, an engagement ring with a single diamond weighing 1.50 ct will cost significantly more than an engagement ring with a total diamond weight of 1.50 carats. You’ll also find engagement rings with a center diamond and colored gem side stones like ruby, sapphire or emerald. The gem weight in a ring with different types of stones is called “total gem weight. If you’re purchasing a loose diamond, you’ll want to compare it to one or more similar loose diamonds. First, ask for the per-carat price of the diamonds at hand. For example, a 1.50 ct diamond that costs $15,000 has a per-carat price of $10,000 – that is, you divide the cost of the diamond by its carat weight. In this example: $15,000 ÷ 1.50 = 10,000. A 1.60 ct diamond with the same total cost would have a per-carat price of $9,375 (15,000 ÷ 1.60). Were graded by the same laboratory. 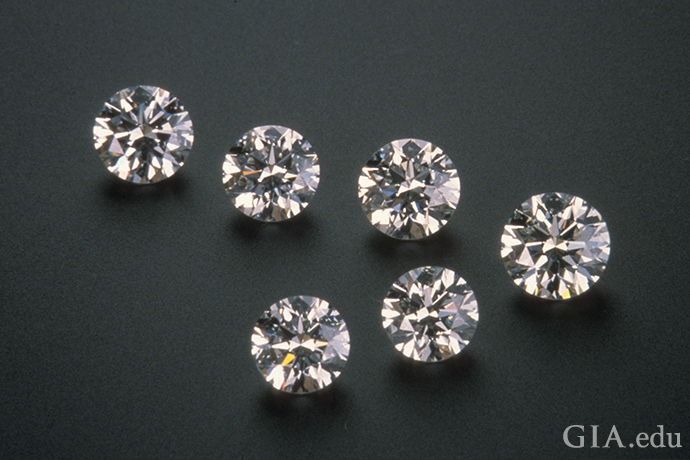 Some laboratories may use different standards or processes when grading diamonds. Have the same shape. 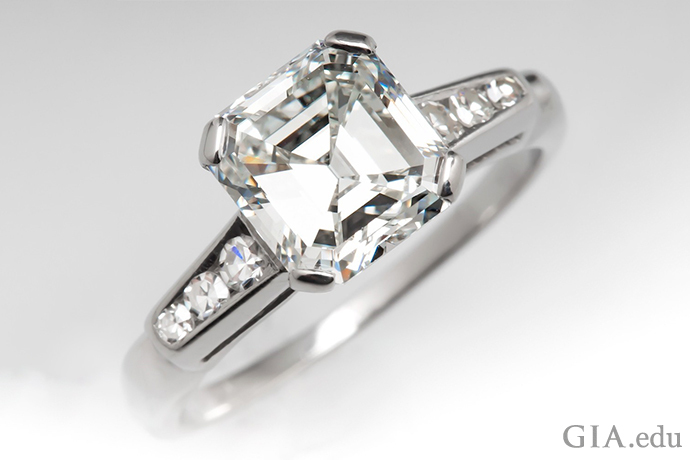 The price per carat often varies depending on the shape. This makes it tricky to compare a 1.00 ct oval or pear to a 1.00 ct round brilliant, for example. Have identical or nearly identical cut, color and clarity grades. Your comparisons will be skewed if you compare a 1.00 ct round brilliant cut diamond with an “Excellent” cut grade to a 1.00 ct round brilliant cut diamond with a “Poor” cut grade. 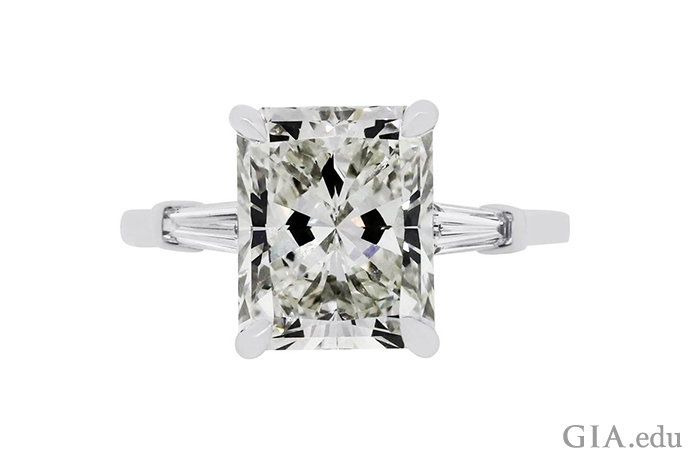 Your best course is to make apples-to-apples comparisons when using per-carat price as the determining factor. Here’s more information on how to compare loose diamonds. If you had an unlimited budget to buy a diamond engagement ring, you could purchase a stone that has exceptional color, clarity, cut and carat weight. However, most people will have to prioritize the 4Cs and decide which C is most important. Often, it isn’t carat weight. 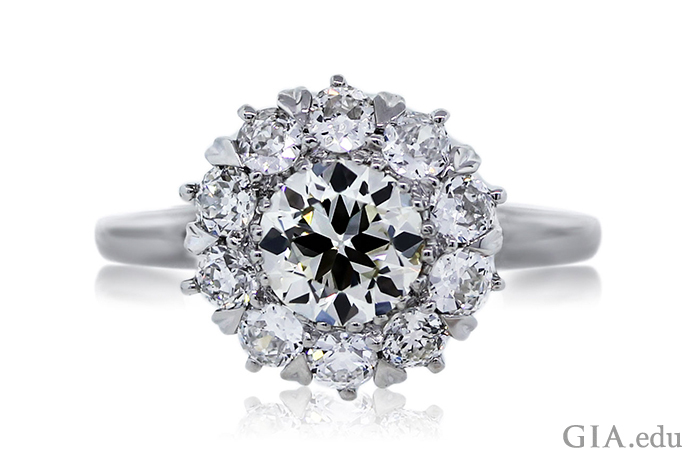 You probably want a diamond that has turn-your-head sparkle – one that can’t be missed from across the room. But a larger diamond doesn’t guarantee visual pizzazz. A diamond has to have lots of brightness, fire and scintillation to elicit “oohs” and “aahs.” These qualities are determined primarily by the diamond’s cut, which is responsible for the miniature fireworks. 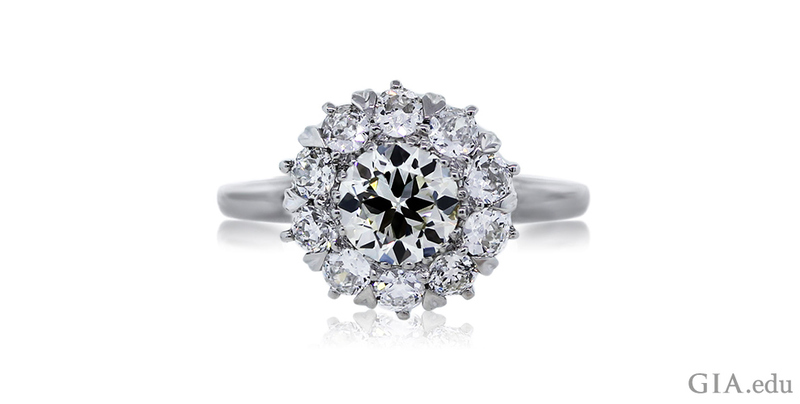 You typically won’t see them in a round brilliant diamond with a “Fair” or “Poor” cut grade, no matter how large it is. Carat weight as the main criterion for buying a diamond is also a problem for emerald cut diamonds. These elegant beauties have long rectangular facets that do not hide inclusions well. 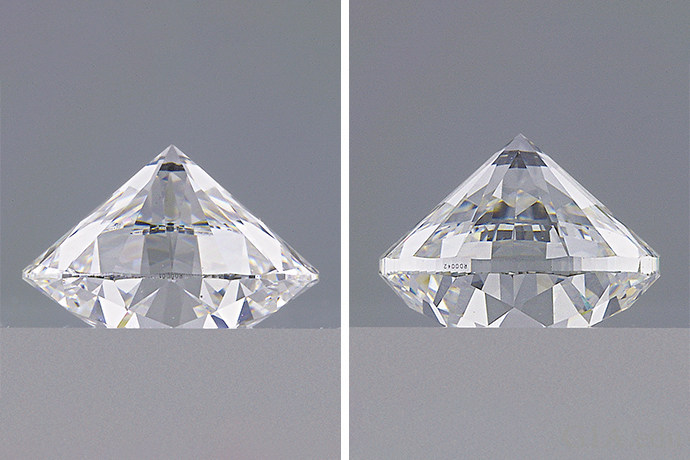 Also, the step cut style of faceting has less scintillation, which masks lower color grades. So, clarity and color grades are especially important. A large emerald cut diamond with a lower clarity or color grade may look unattractive. 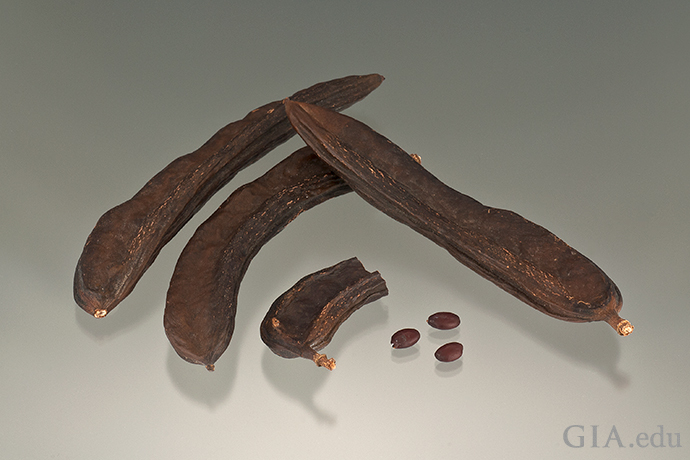 These are just two examples of why carat weight shouldn’t be used as the only measuring stick. It’s best to consider all the 4Cs when purchasing a diamond. A diamond engagement ring is a significant emotional and financial investment – one that represents your love and commitment. A GIA Diamond Grading Report ensures that the carat weight of the diamond you’re considering is accurate. 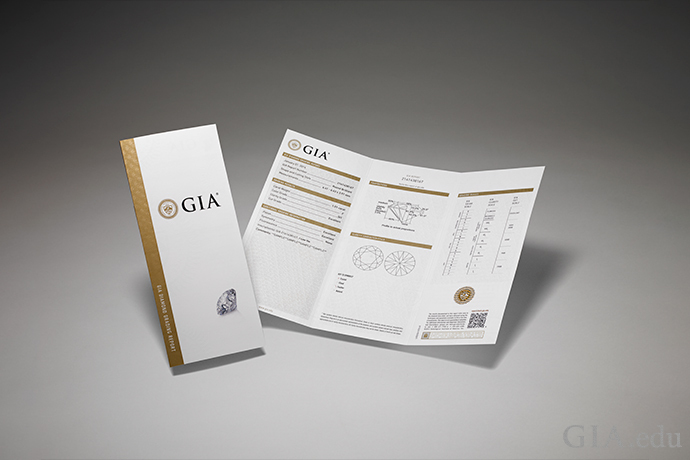 A GIA Diamond Grading Report gives you the information you need to buy a diamond with confidence. Now that you know about carat weight, get even smarter by reading these tips on diamond color.